SOUTH SEMINOLE HEIGHTS -- ONE OWNER since 1948! 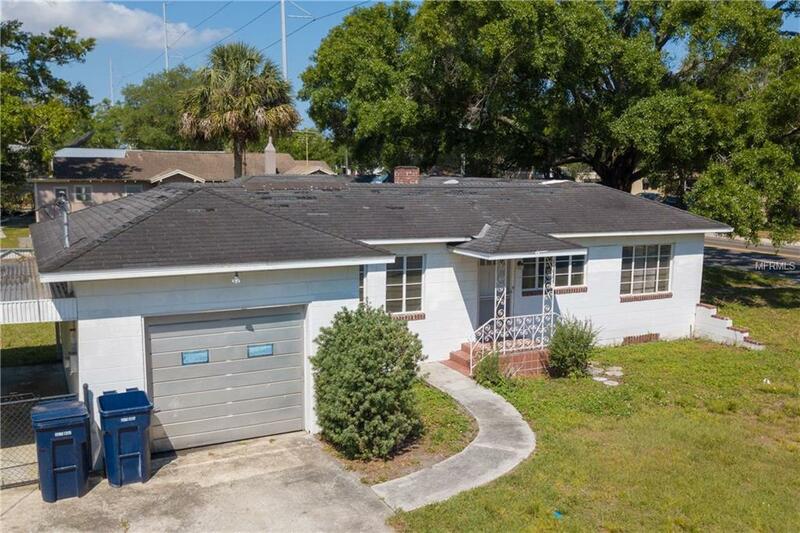 Situated within the Tampa city limits this classic 1948 bungalow is a fixer upper that needs someone new to love it & give it a facelift. The interior is mostly original so be prepared to step back in time especially in the midcentury full bath. This 1,637 sf home has 2 bedrooms & 1 bath, a 1-car attached garage & is situated on a corner lot that is mostly fenced which means PLENTY of parking! The floor plan is centered around a wood burning fireplace which is the heart of the home. The homesite is a generous 79 wide x 122 deep! Buy this to fix up and live in, use it as an income property or redevelop/rezone the site for doctors, lawyers or dentist offices which are quiet neighbors surrounding this this home.